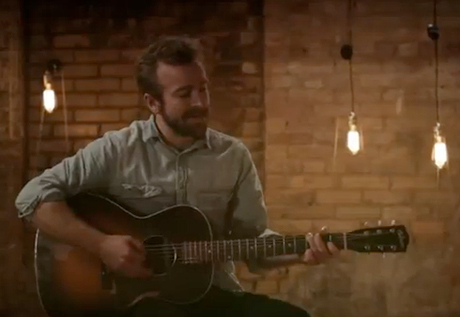 We praised Minnesota roots crew Trampled By Turtles for their newly released Stars and Satellites, and now the band are promoting the LP with a music video for the track "Alone." The clip is just as elegant and restrained as the song itself, as it shows some low-key performance clips that are intercut with slow-motion footage of the musicians walking on a beach and enjoying a sunset. They eventually convene in a cellar and pick up their instruments to play the song's crescendo before the nature footage suddenly starts going in reverse. Watch the video below, and check out the band's North American tour schedule here. Be sure to take note of Canadian shows in Toronto on Sunday (April 15) at Lee's Palace and in Vancouver on May 26 at the Vogue Theatre. Stars and Satellites is out now on Six Shooter Records.